This article is about the English pioneer and surveyor. For William Charles Cole Claiborne (1775–1817), a United States politician, see William C. C. Claiborne. For William Stirling "Wild Bill" Claiborne, a college football player and reverend, see Wild Bill Claiborne. William Claiborne also, spelled Cleyburne (c. 1600 – c. 1677)  was an English pioneer, surveyor, and an early settler in the colonies/provinces of Virginia and Maryland and around the Chesapeake Bay. Claiborne became a wealthy planter, a trader, and a major figure in the politics of the colonies. He was a central figure in the disputes between the colonists of Virginia and the later settling of Maryland, partly because of his earlier trading post on Kent Island in the mid-way of the Chesapeake Bay, which provoked the first naval military battles in North American waters. Claiborne repeatedly attempted and failed to regain Kent Island from the Maryland Calverts, sometimes by force of arms, after its inclusion in the lands that were granted by a 1632 Royal Charter to the Calvert family (to Sir George Calvert, first Baron and Lord Baltimore, (1579-1632), by the reigning King of England, Charles I, (1600–1649, reigned 1625 to execution, 1649), thus becoming Maryland territory. 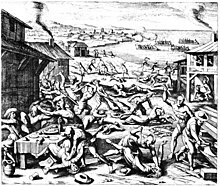 The Province of Virginia was still a frontier settlement in March 1622 when William Claiborne, (c.1600-c.1677), survived attacks by native Indian Powhatans that killed more than 300 Virginia colonists. Map of the Virginia colony showing its location relative to the proprietary colony, Province of Maryland controlled by Lord Baltimores of the Calvert family. In 1629, George Calvert, 1st Baron Baltimore, arrived in Virginia, having traveled south from Avalon, his failed colony on Newfoundland. Calvert was not welcomed by the Virginians, both because his Catholicism offended them as Protestants, and because it was no secret that Calvert desired a charter for a portion of the land that the Virginians considered their own. After a brief stay, Calvert returned to England to press for just such a charter, and Claiborne, in his capacity as Secretary of State of Virginia colony, was sent to England to argue the Virginians' case. This happened to be to Claiborne's private advantage, as he was also trying to complete the arrangements for the trading post on Kent Island. Map of the modern State of Maryland with Kent Island highlighted in the mid-way of the Chesapeake Bay which nearly splits the region into an Eastern Shore ( Delmarva peninsula) and a Western Shore (mainland). This island was the touchpoint for a long conflict between Claiborne and the Maryland colony. ^ A number of different sources dispute Claiborne's date of birth and which family he descended from in England, though Brenner, which is the most recent authoritative historical text, cites 1587 as the date of birth and the Norfolk/Kent, England|Kent]] Clayborns of England as his ancestors. Dates and other biographical information in this article are drawn from "Appleton's Cyclopedia of American Biography" 1887–89. ^ Neill, Edward D. (1876). The founders of Maryland as portrayed in manuscripts, provincial records and early documents. Albany, NY: J. Munsell, 1876. p. 45. ^ Bernstein, Adam (2007-06-27). "Liz Claiborne, 78, Fashion Industry Icon". The Washington Post. pp. B07. Retrieved 2008-01-22. ^ . A number of genealogies reference his descendants, including Boddie's 1999 Virginia Historical Genealogies. ^ "The National Society of the Claiborne Family Descendants". Retrieved 2008-01-22. Brenner, Robert (2003). Merchants and Revolution: Commercial Change, Political Conflict, and London's Overseas Traders. London:Verso. ISBN 1-85984-333-6. Browne, William Hand (1890). George Calvert and Cecilius Calvert: Barons Baltimore of Baltimore. New York: Dodd, Mead, and Company. Hatfield, April Lee (2004). Atlantic Virginia: Intercolonial Relations in the Seventeenth Century. Philadelphia: University of Pennsylvania Press. ISBN 0-8122-3757-9. Osgood, Herbert Levi (1907). The American Colonies in the Seventeenth Century. London: MacMilland and Company. Richardson, Douglas (2005). Magna Carta Ancestry: A Study in Colonial and Medieval Families. Genealogical Publishing Company. ISBN 0-8063-1759-0.